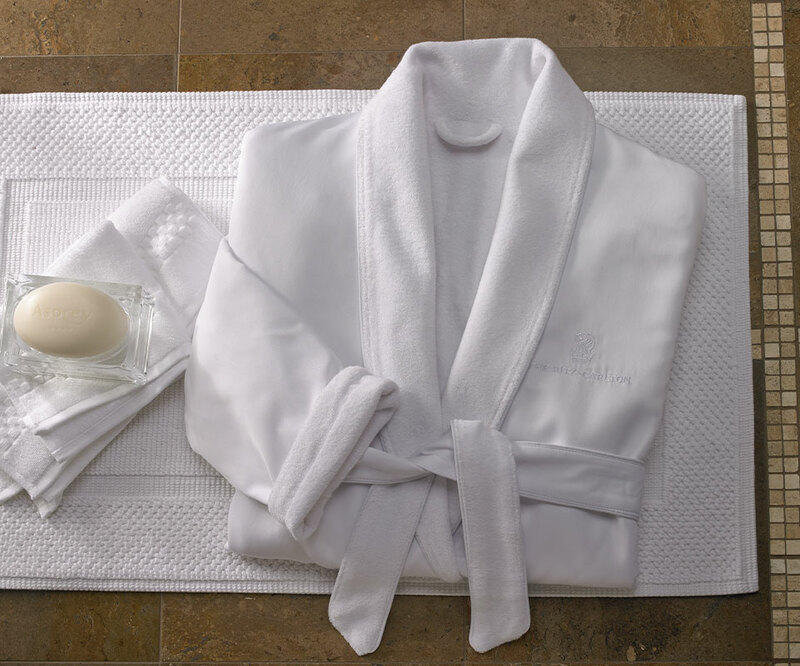 Upgrade your lounge attire with our signature microfiber robe, a stylish silhouette full of cozy details. Crafted of extra-soft microfiber and lined with white terry, it is cut with a shawl collar and long sleeves for added warmth. A self-tie belt and two front pockets are perfect for keeping your phone handy or jewelry safe while you shower. 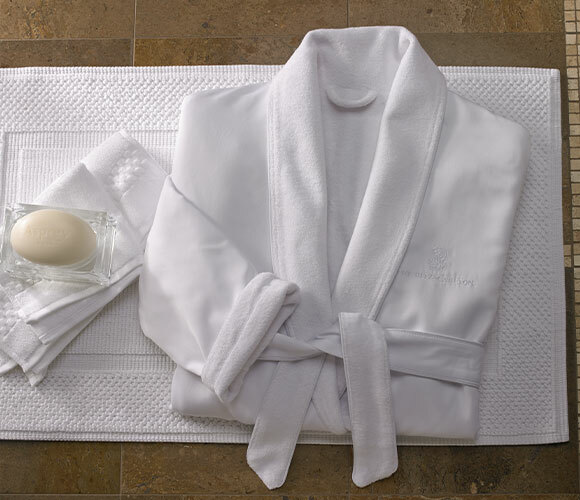 100% microfiber; Terry lining; Shawl collar; Two patch pockets; Adjustable self-tie belt; Full length sleeve; 52”long; 61” girth; One size fits most; Machine washable; Available with or without The Ritz-Carlton embroidered logo.